In early May, a conference was held at Yale for retiring Chinese historian Jonathan Spence, with several China Beatniks in attendance. Here, Robert Kapp, one of Jonathan Spence's first graduate students, reflects on the shifts in the stories we've told and heard about China during the time that Spence has been active in the field. The retirement of a distinguished scholar and doctoral mentor sometimes goes insufficiently remarked, but in the case of Jonathan Spence’s recent retirement from the Yale History faculty, something better happened. Happily, several of Spence’s Ph.D. students decided to throw their efforts into a conference and celebration in his honor, on the Yale Campus, in early May. The result was a most interesting and varied set of scholarly presentations, a warm and enthusiastic dinner event seasoned with warm reminiscences from generations of young and mid-career Chinese history scholars who received their early training from Spence, and a great many reunions of old friends with shared experiences of graduate life at Yale. Four attendees in particular – Robert Oxnam, Roger DesForges, Sherman Cochran, and I – represented the original tranche of doctoral candidates who finished their degrees under Jonathan’s benign and helpful guidance. We were far and away the oldest Spence “products” in attendance; all of us began our graduate school lives as students of Spence’s own academic mentors, Professors Arthur F. and Mary C. Wright. Jonathan essentially inherited us from Mary Wright, in particular, as both we and Yale lost an inspiring senior scholar and came to know a brilliant and promising one at the start of what would become a brilliant career in the China field. While most of the panels at the conference honoring Jonathan Spence consisted of research presentations – many of them on topics, and using tools of scholarly sleuthing – reminiscent of Jonathan’s own compelling works, the last session addressed “China Beyond the Academy,” in the form of a round table with five of Jonathan’s “products” who, over the years, either left academia altogether or who, while remaining active academics, engaged with broader audiences as a part of their China commitment. These five included Prof. Yili Wu, of Albion College in Michigan; conference organizer Ken Pomeranz of UC Irvine; writer Stephen Platt of the University of Massachusetts at Amherst; Bob Oxnam, and me. Bob, of course, founded the China Council of the Asia Society in the 1970s and went on to become the Society’s president; I moved from teaching into the world of nonprofit membership associations, winding up as head of the US-China Business Council in Washington, D.C. from 1994 through 2004. Putting thoughts on paper for this meeting was challenging but liberating, and I ultimately threw down a brief self-introduction, a section on some of the heroes and some of the writings that had affected me most as I led a life of “China Beyond the Academy,” and some additional reflections on the changing landscape and the lessons of “Beyond the Academy” life over what has now become a period of many decades. With The China Beat’s permission, I’m happy to share the latter two sections here, and welcome comment. Jonathan Spence, To Change China: inoculation against self-delusion. 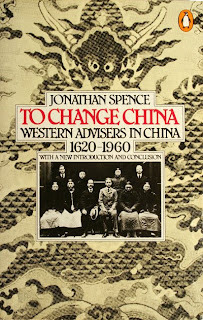 This early book by Spence, long a classic, made a permanent mark on me, with its tales of the mistaken assumptions and ultimately futile illusions of personal transformative influence in China that animated some historically important foreigners but, more often than not, led to disappointment. 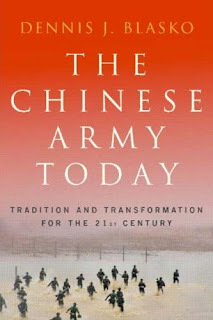 While not the only book of its theme, this one stayed with me, over the years, a constant reminder to guard against the susceptibilities that brought earlier generations to abrupt, sometimes devastating confrontations with Chinese realities. Graham Peck, Two Kinds of Time: the wedding of tragedy and farce. I have written on The China Beat before about this book, an elegant and moving, alternately grim and hilarious, memoir of a young American’s experiences in Kuomintang-controlled China during World War II. The authorial voice in this endearing book, and the rhythm of Peck’s narrative descriptions, have, for me, never been rivaled. 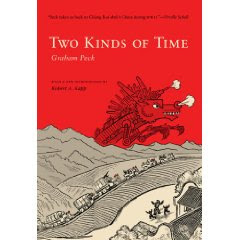 Contemplating the China of Peck’s observation against the backdrop of today’s China provides endless food for thought. 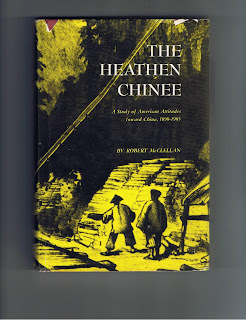 Robert McClellan, ­The Heathen Chinee: the enduring power of embedded vocabulary. Robert McClellan remains an obscurity to me, known only through a couple of Web references. The Heathen Chinee, published in 1971 by Ohio State University Press, has never, to my knowledge, become a classic. But its vast assemblage of observations about China and the Chinese, and related imagery, from Boston Brahmins to California labor-movement exclusionists to clergymen and Congressmen and American literati of all sorts, has been valuable to me in thinking about American public and political attitudes toward China. 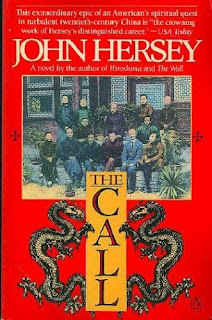 John Hersey, The Call: The possibilities of fiction. I don’t suppose that The Call has gone down as one of the great works of American literature, but I loved its combination of historical accuracy and engrossing narrative, of a young and unfocused man from upstate New York who hears “the Call” at a missionary lecture one evening and embarks on a life of bringing progress to China under the aegis of the YMCA. Many in lay audiences to whom I have introduced The Call have commented on its attractive power and its value as a learning tool. Lars Erik Nelson and the Wen Ho Lee affair: majesty in the media. The late Lars Erik Nelson of The New York Daily News is one of my heroes. His quiet, slashing article, “Washington: The Yellow Peril,” reviewing the infamous Report of the Select Committee on U.S. National Security and Military/Commercial Concerns with the People’s Republic of China, in the New York Review of Books, July 15, 1999, exemplified, for me, the ability of the American press to right itself, and to right the American ship, even after the press itself creates the furies that nearly sink the ship in the first place. It is hard, now, to recreate the politically charged firestorm that swirled over China – and the Clinton Administration – in the mid- and late 1990s, but to have lived it is to remember it forever. Gradually, after the huge media onslaught (led by the New York Times, to its sad discredit, and fed by a familiar cast of Inside the Beltway predators) brought things to a very heavy boil, serious critical voices began to fight back. None was more dignified than Nelson’s. It was, by the way, the fact that China in the 2000 elections, even after the four-year national security furore and the Congressional battle royal over Permanent Normal Trade status for China (PNTR) in the spring of 2000 itself, had no discernible effect on any races, for White House or Congress, that led me to conclude that it is fairly easy to ignite a fire over China in the U.S. but very difficult, if not impossible, to keep it burning for very long. Dennis Blasko: The Unique Problem of the National Security Di scourse. Dennis Blasko is a retired Army Colonel with plenty of depth on Chinese military affairs, but I cite his book here not for its own uniqueness but for what Blasko represents: a professionally qualified specialist, in a field whose upper echelons remain shrouded from view behind the curtain of national security classification, who nevertheless writes and speaks with skeptical judgment about what is generally said inside the walls of the security community’s discourse on China. The divorce of the security dialogue on China from the rest of the multifaceted discussion of the PRC is, in my view, fraught with danger. Those without “standing” – in the form of employment, security classifications, and professional networks – can find it difficult to locate reality in the shadowy world of China military analysis. Those inside the walls – even the brightest and most responsible – are, in the main, socialized to discover worst-case situations and advice on preventive or retaliatory methods. The press, to the extent that it treats security issues at all, tends to receive and run with handouts from those “inside.” There is, however, a small cadre of credentialed specialists who place such reports in perspective, define and elucidate the real meanings of bandied terms, and generally bring balance to a discourse usually dominated by experts or polemicists to whom the laity is unequipped to respond. Dennis Blasko, then, is a representative figure, albeit a good one. His work and utterances, and those of others of similar intellectual bent, have long since earned my admiration. A. Generations. 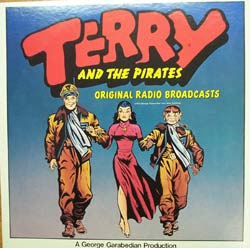 Whatever happened to Terry and the Pirates? Do they matter any more? I guess another way of raising the Terry and the Pirates point would be to ask readers of China Beat: how many of you have heard of Terry and the Pirates (and the Dragon Lady)? Have you seen it? What do you make of it? The larger point, obviously is this: have we now so left behind the experiences, once formative, of our encounter with China in the World War II context, that their residue has vanished? For those of us at the Spence conference who entered the China field as young graduate students in the mid-sixties (as the Vietnam War was also metastasizing), the likes of Terry and the Pirates informed our universe – and informed American politics. 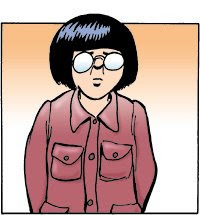 Four decades later, perhaps all of that baggage is now dropped forever. Maybe “Beyond the Academy” doesn’t matter now; maybe what we need to understand and convey off-campus starts with 1978, or 1989, or something like that. I’m not so sure. This one is so obvious as to be sort of a throw-away, I guess. 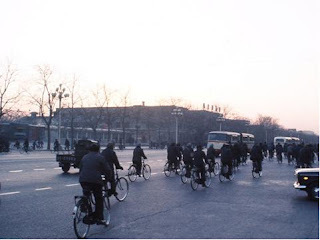 The photo was taken outside the Beijing Hotel on my first visit to China in January 1977. Those of us – and there are many – who have been in China for, now thirty-plus years, can’t help but remember how things used to be. Does it matter, when conveying our understandings of China “Beyond the Academy”? I believe it does, but I can understand why many people whose time in China began, say, only in the 1990s, or many Chinese people inside the country who came to mature consciousness only in the last fifteen years, might think otherwise. Well, yes. 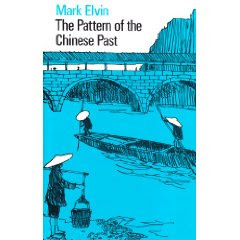 Mark Elvin’s The Pattern of the Chinese Past is still, and will always be, a creative and elegant study. 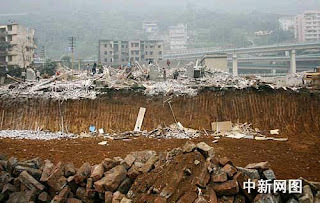 But the whole universe of “Why didn’t China…..?” questions, at least for those seeking to discuss China “Beyond the Academy,” has become quaint: who cares, it seems, about why China “failed” anymore, or why China didn’t have a “scientific revolution”? I am not here making the case for the permanent salience of the old questions, the ones on which we teethed as graduate students forty years ago. But, at a gathering built on reminiscence and recollection of formative years of academic training, it was hard not to come back to this question, with some predictable rubbing of the eyes. Who knows: what paradigms, forty years from NOW, will occasion the scratching of heads? B. Language Language Language: In the end, it DOES matter. Generational contrasts. But the point is that, in the end, language is the foundation. The whole subject of “China Beyond the Academy” boils down to how we know what we know, as data and impressions are sifted through layer after layer of translation and interpretation. It’s not to say that complete fluency in Chinese is a prerequisite for standing; to put it the other way around, not having fluent Chinese reading and speaking ability is not an automatic disqualifier of those who would seek to tell others about China. But SOMEBODY in the process needs to have maximum language skills – in each direction. We’re better off than we were when the likes of me went through graduate school, but my overall impression is that we – the United States – still has a long way to go. I’ll let China speak for itself on the subject. By this point, I’m in the thrall of Google Images. A picture really can be worth many, many words – or at least can serve as a zippy illustration. 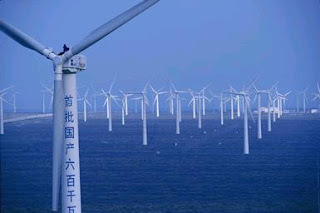 For the China Beyond the Academy ranks, motives and intentions, revealed or unrevealed, are a never-ending source of interest. 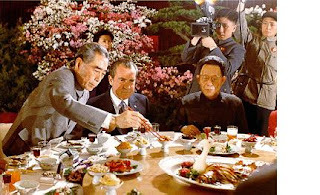 Maybe, at this particular moment, Richard Nixon was simply thinking, “What IS it?”, and maybe Zhou Enlai was only thinking, “I certainly hope our distinguished American guest likes this delicacy,” but most of the time, in this and a myriad other encounters, the mental exercises are more multi-layered and the communication process both more nuanced and more perilous. Don’t read too much into the visual similarities here, though I found them intriguing. The point is only that China has been, and sometimes remains a foil, a stage on which to play out foreign senses of thrill or danger. Times change: Ripley’s “The Marching Chinese” seems quaint while China’s industrial advances seem stark. 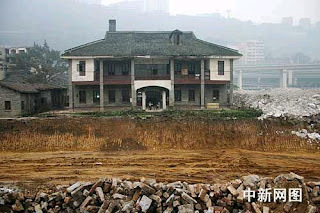 But China as illustration, as a challenge from The Beyond, is still with us at times. E. We each see what we’re equipped to recognize. 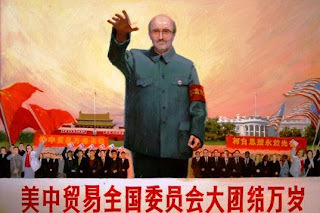 I am sure that only a handful of The China Beat readers will recognize me in the picture above, presented to me by the China staff of the US-China Business Council as a humorous farewell when I left in late 2004. Again, the picture is only for visual effect; the message is, Stay Humble. When China specialists “interpret” China for non-specialist audiences, whether in the schools, in civic groups, for the media, or for anyone else, we need to recognize the limits of our wisdom even as we assist others. Failure to do so will, to recapitulate my first book title above, surely lead to disappointment. Pondering how to wrap up my short presentation to a conference honoring my doctoral advisor, I punched the name of the principal provincial militarist of Sichuan in the warlord era into Google Images, and hit paydirt at once. I had written for Spence on provincial militarism in Sichuan in the Republican era, and the heaviest hitter among the contending Sichuan warlords was one Liu Xiang (NOT, from the perspective of recent Olympics, THE Liu Xiang, of course). Here is what I found, another sign of a receding past to be reclassified, or perhaps forgotten.